Defense Minister: 'Military Intelligence is a national asset and its transfer to the south is a national project." Defense Minister Avigdor Liberman, Defense Ministry Director-General Maj. Gen. (res.) Udi Adam and Deputy Chief of Staff Maj. Gen. Aviv Kochavi presented today (Sunday) the full plan for the transfer of IDF units to the Negev. The plan began with the transfer of the 'City of Training Bases' to the Negev Junction, which was completed last year and has led to extensive economic and social development in the area. Minister Liberman and senior members of the defense establishment briefed ministers on the status of two of the main projects, the tender for the establishment of the Tikshuv neighborhood, which will be issued shortly, and the tender for the establishment of the intelligence center, which is expected to be issued in early 2018. 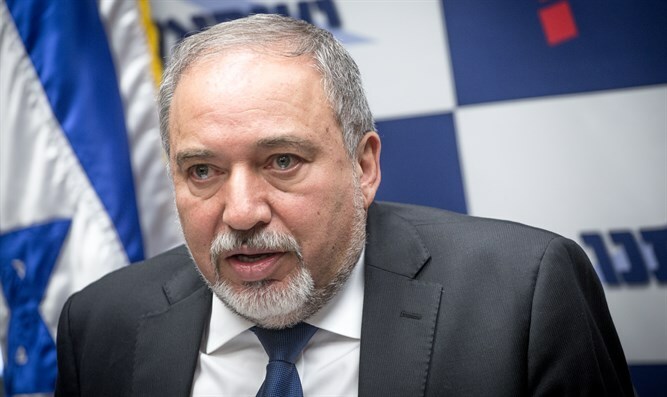 "The IDF is already in the south, and we are determined to promote the the transfer of the Intelligence Directorate and the Communications Division with full commitment, which will bring about a real change and fulfill Ben-Gurion's vision for the Negev," Liberman said. "Military Intelligence is a national asset and its transfer to the south is a national project. We intend to move most of the military intelligence staff from the center of the country southward. It will be an achievement on a national scale, but it is a challenge. Already today, the defense establishment is fighting to keep the best and brightest minds of the military intelligence, in the face of the tempting offers waiting for them in the private sector. It is incumbent upon the entire government to enlist to preserve the main technological engine of the Israeli high-tech industry. A broad package of incentives for transportation, housing, education and more is already being finalized," he added. The Defense Minister noted that the IDF Training Base in the Negev already employs about 700 civilians from the south, about half of whom are residents of Dimona and Yeruham. "The IDF is the most important social and economic engine in the country, and this is only one example of the tremendous potential of the IDF's transfer to the Negev," Liberman said. "Together with the Intelligence and Communication Center, we are promoting other mega projects, including the transfer of additional intelligence units and the rebuilding of the Tze'elim base, to the amount of NIS 2 billion. In recent months, with the assistance of the Defense Ministry, we have confirmed the existence and expansion of a factory in Arad, and in the coming years we will move the plant from Ramat Hasharon to Ramat Beka in the Negev. "